Time to Kick the Can? 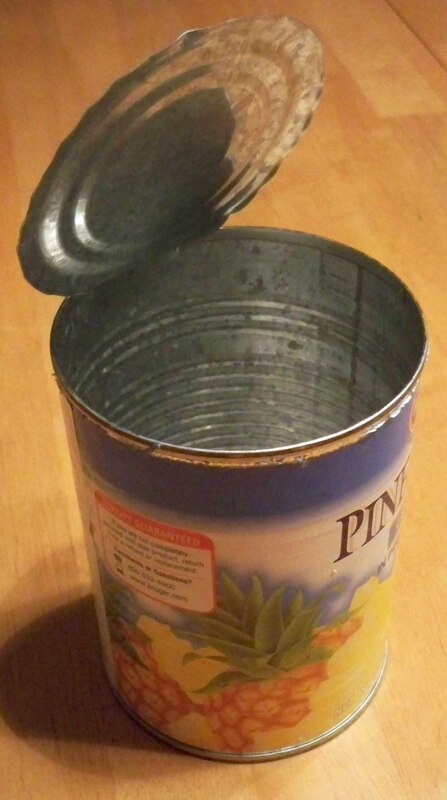 Cutting yourself on the lid is no longer the scariest thing about canned goods. Yesterday, my friend Nicole sent me an email asking if I knew that most aluminum cans used to store food have linings that contain BPA, a chemical that’s been linked with cancer and other health problems. I responded that I did know, and then started to feel guilty that I knew and didn’t tell her. 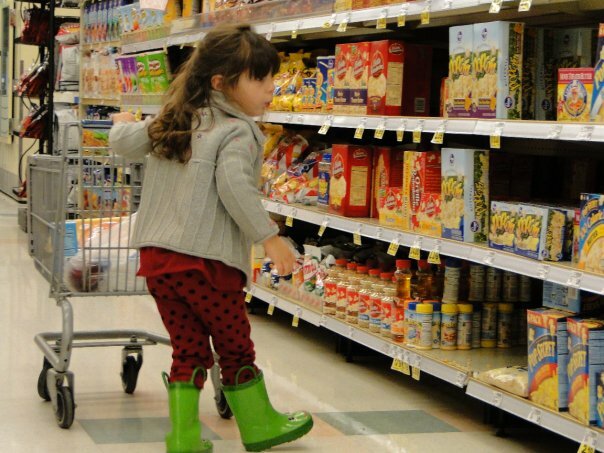 On the one hand, the studies on BPA are somewhat controversial – some say BPA isn’t harmful at all – but still, I’m the mom who immediately bought BPA-free bottles and shelled out the big bucks for metal sippy cups when the BPA frenzy first broke. So, EVERYONE, please know that the majority of the aluminum cans in your pantry contain BPA that could be leaching into your food. Do what you will with the information, but if you decide to throw out all your canned goods, please donate it to a food bank, (Is possibly BPA tainted food better than no food? I think yes.) or at least recycle the cans. If you want more information on BPA in aluminum cans, you can start here. As if that weren’t enough, today I found out that an environmental group in California has found that several brands of juice and packaged fruit contain illegal amounts of lead. These brands range from small local juice companies to national giants and include both organic and non-organic products. All the products tested are marketed towards children. You can see the list of products tested here and get more information on the now formal case here. So, another couple reasons to support local foods. And avoid buying canned goods, or anything in a plastic bottle. And start searching yard sales for a juicer. And figure out a way to grow your own apples. And make one of your kids major in chemistry so you can understand all this stuff. 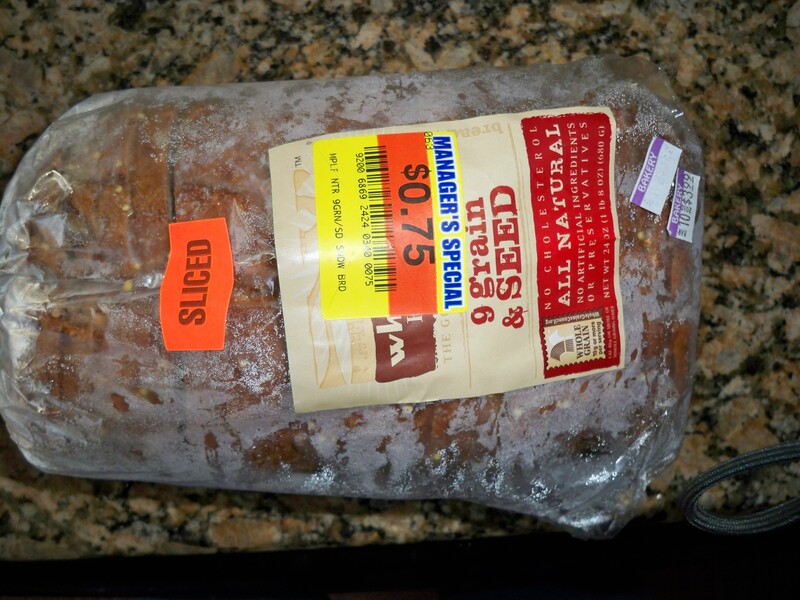 Local Food – this one got off to a slow start, but now that the farmer’s markets are opening, and the Argenta Market is in business, it’s much easier to find local food resources. 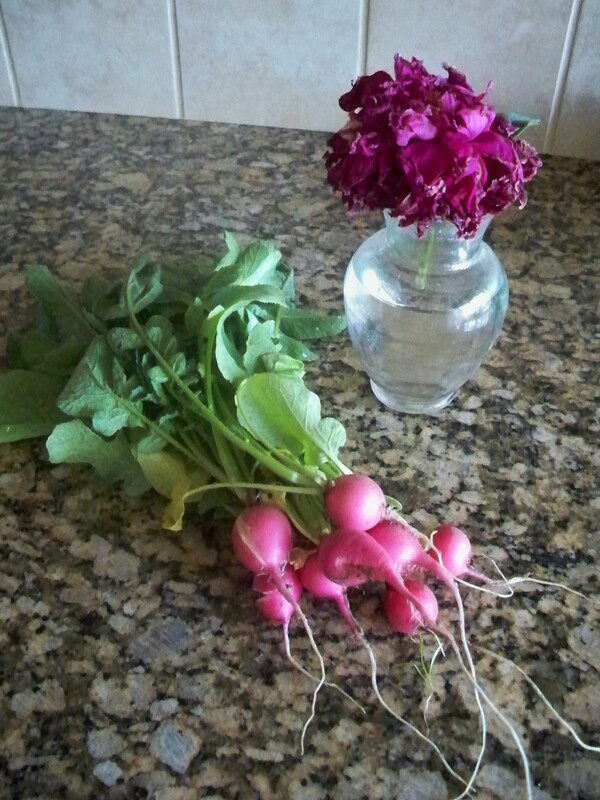 Our little garden in the back yard has started providing a little bit of produce as well: radishes. It doesn’t get much more local than that! We’re also getting ready to pick up our second Basket of the Month. We skipped the April basket because we were out-of-town. That’s one of the benefits of the BAM – you don’t have to get a basket every month. Cloth Diapers – still doing well with this, although all the extra use means that I need to “strip” the diapers, which I have not done in a long time and need to look up instructions for. 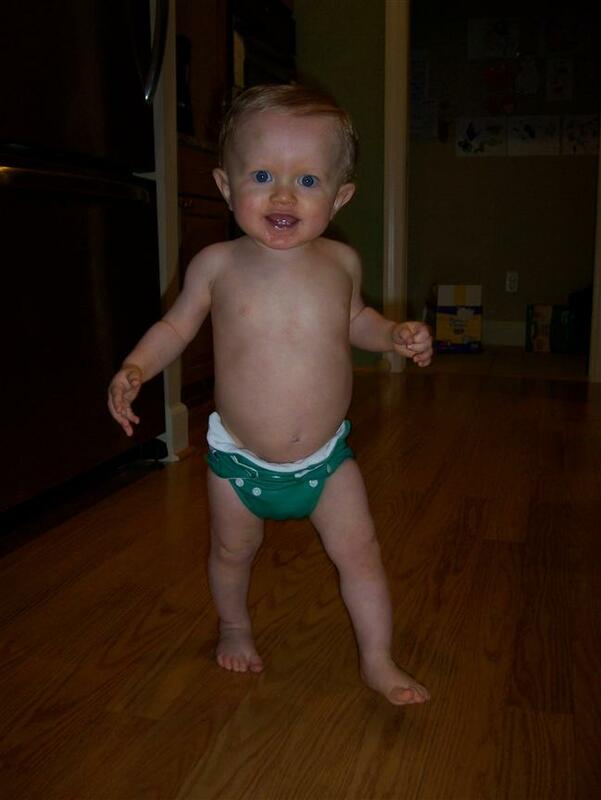 I am hoping to get Callen potty trained this summer, so I might have a good deal on some cloth diapers come fall! 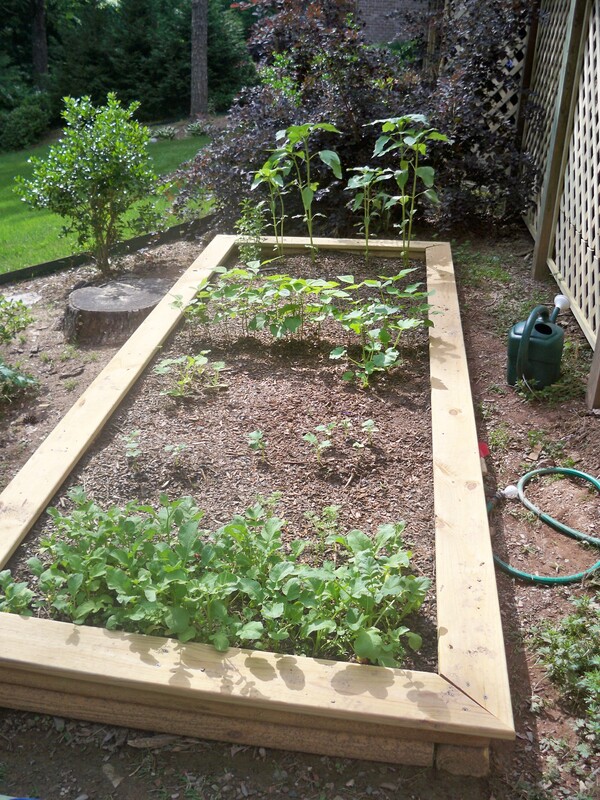 Garden – our Garden is growing right along. I’ve made several rookie blunders: I don’t think I planted the radishes deep enough, and trying to grow the tomato and pepper plants from seed was a mistake. This weekend’s plans include a trip to the garden store to purchase a few established tomato and pepper plants. Our rain barrel works wonderfully, gathering rainwater from one of the downspouts so that we conserve water and save money. Composting – I am still learning about composting, so I’m not really sure that I am doing it right, although the basic process seems fairly easy. It certainly has reduced the amount of food waste that is going into our trash can, which makes me happy. The composter is getting pretty full, though, so soon it will be time to take some of the good dirt out and spread it around. Last month we also took part in a recycled landscaping project: our neighbors thinned out several of their bushes and were nice enough to let us have them to plant in our back yard. Right now the leaves are all brown and dead, so that’s another research project: should I cut them back, or leave them alone until fall? Either way, I’ll be pampering them with some compost. I am planning to continue the One Small Change project through the year. It’s a great way to keep me focused on making earth-friendly changes in our household, and one change per month isn’t overwhelming. Stay tuned for our May change! In January, I posted about the One Small Change project. This is my February report. In January, I pledged to start feeding my family more local food. Turns out that January is not the most ideal time of year to make such a change. No farmers markets open, not much being grown locally, and my family was out of town nearly half the month. I did sign up for the Basket a Month (BAM) program through the Central Arkansas Farmers Market, but due to weather and lack of production, the January basket was cancelled. So, in the end, while I do have some local food scheduled to come my way via the BAM, my family and I have not increased our local food intake. hum. My short-term solution is that I’m planning to put together an order from either the CAFM online market or Petit Jean Farm. I’m not sure which because I have a head cold that is making it hard for me to think about food. I also have a plan to meet with fellow Arkansas blogger, The Park Wife, who runs a Farmers Market. I’m hoping she can help me out with resources and tips. For FEBRUARY, my One Small Change is that I plan on getting back into using my cloth diapers more on Callen. Somehow, with all the travel, the cold temps that discourage me from getting them out on the clothes line, and just the general fast-fastness of life, I have not been using my cloth diapers as I should. So, for February, less disposable and more cloth! Hopefully this is one change that will become defunct by the end of this year because we won’t need ANY diapers. A mommy can dream, anyway. Nicole! Are you out there cleaning something with homemade cleaner? Post and let us know how your January One Small Change turned out. I just learned about a great blogger movement called One Small Change. The basic concept is that between now and Earth Day (April 22, 2010), each participating household makes one change to be more earth friendly and blogs about each month’s change, so that by the time Earth Day rolls around everyone has made four changes and shared those changes with others. I love this idea because it gives me a way to FOCUS (That’s my word for the year. More on that later.) on greening our household, and also prompts me to do more blogging about environmental topics, which I’ve been wanting to do. I’ve actually already told you about the first change for our household in my post about resolutions. The first change will be to eat more local foods. I would love it if you would join me in this adventure. Check out the One Small Change webpage, and post about your change on your blog. If you don’t have a blog, you can leave a comment on this post saying what your January change is. Then, when I post in February, you can comment with your February change, and so on. I’m headed over to the Certified Arkansas Farmers Market website to see about placing an order through their online market! Normally I am not one to put big stock in New Year’s Resolutions. However, this year I have some very real goals that I plan to make good on. I think having this blog to write these goals in actually helped me to think harder about what my goals should be. Plus, I recently learned that you are 10% more likely to reach a goal if you share that goal with someone else. So, now you can all hold me accountable. Buy More Local Food – This year I will make it a priority to utilize local resources for my family’s nutrients. In addition to providing fresher food with fewer preservatives and other ingredients that I can’t pronounce, locally grown food is better for the environment because fewer resources are used for transportation and processing. After watching Food, Inc. and listening to Joel Salatin talk, I also feel it is my duty as a consumer to put my “vote” behind real food instead of mass-produced, chemical laden junk. In addition to the local Farmer’s Markets, Central Arkansas has a great resource for accessing the local food market: ArkansasFood.net. This website offers two wonderful programs. 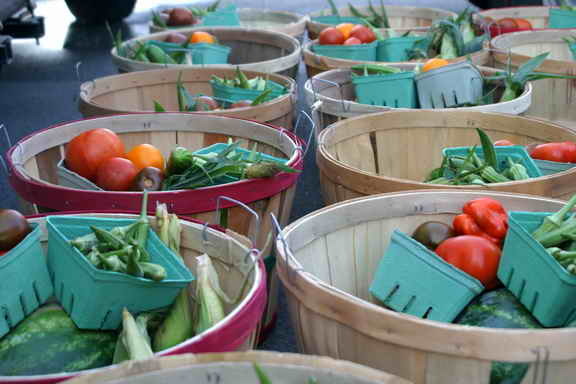 First, the basket a month program is a subscription program that provides members with a basket full of locally grown food such as produce, meat, eggs, cheese, milk, and rice. The cost is $180 per three months. The second program is the Online Market, where you can choose which products you would like to receive and order them online each week. Two amazing services, really. Before we moved here, I had never heard of such a thing. Spend More One-on-One Time with My Kids – This is the “gimmie” of the bunch. Carina will be starting official preschool this week. Her hours will be different than Callen’s Parent’s Day Out, so it will give me an opportunity to spend time with each of them separately each week. The important part will be making sure I fill this one-on-one time with activities that are important to each child. For Carina: arts and crafts, cooking and baking, and playing with puzzles and blocks (Callen eats her crayons and markers, is very dangerous in the kitchen, and is all about scattering puzzle pieces and toppling block towers). For Callen, basically, anything where he doesn’t have to share or take turns, since that is so hard for a person his age to have to do all the time. Submit My Writing Once a Month – For over 6 months now, I’ve been saying that I’m working on “getting my freelancing career started.” The problem is I’ve spent a huge amount of time researching freelance writing and very little time actually writing. I’m sort of famous for that. So, this year, I will submit my writing for publication or competition at least once per month. My research tells me that actual publication will be few and far between, but it will be a huge learning process and a step in the right direction. Compete in a Triathlon – You can’t have a New Year’s Resolution list without a nod to fitness, right? Callen is coming up on two years old, and while I feel pretty happy with the way my body has recovered from childbearing, I still have about 5 pounds of flab flabbing around my mid section. 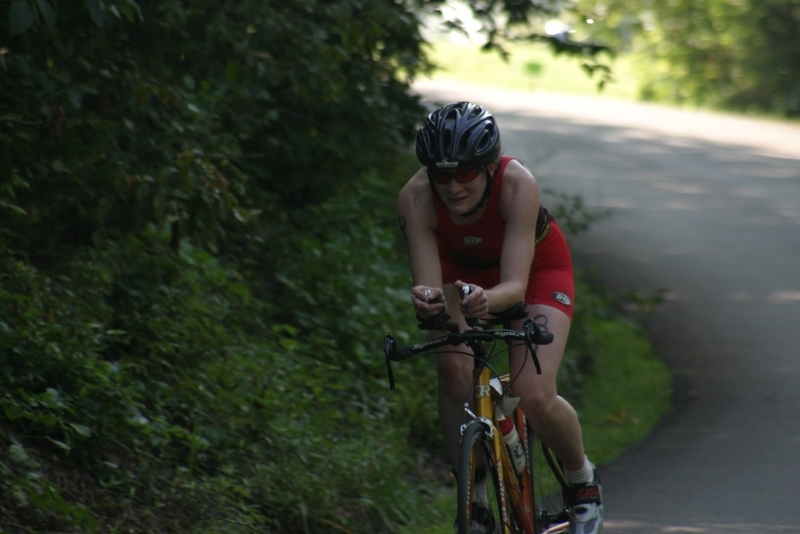 For those of you who didn’t know me pre-kids, I used to compete in sprint distance triathlons. This is a hobby I miss greatly. So, two negatives are coming together to make a positive goal here. Fitting in the necessary training will be a challenge, but I know I can do it. Anyone want to join me? Happy New Year to all of you! Do you have any resolutions?